What is more, nicotine has been scientifically proven as an actual appetite suppressant. This is because it increases blood pressure, the rate at which the heart beats, and gastric motility. All these reactions of the body will effectively make smokers less hungry, especially since the nervous system stimulating properties of nicotine will also cause a release of insulin. Insulin is one of the hormones that lowers or elevates levels of glucose in the bloodstream. As such, smokers experience less acute glucose spikes, hence their lowered appetite. 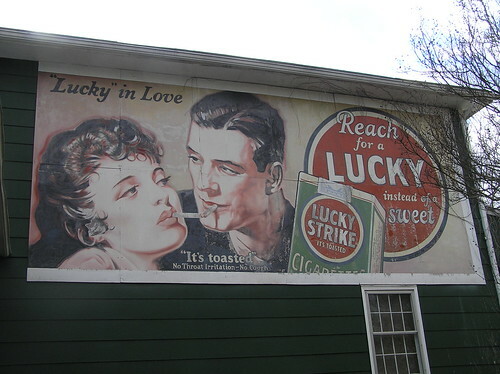 There is also a lot of cultural acumen behind this assertion, most of it derived from early-to-mid twentieth centuries tobacco cigarettes advertisement that specifically targeted women. Most famously, in 1925, Albert Lasker created one of the most successful campaigns and slogans in the history of advertising – “Reach for a Lucky (Instead of a Sweet)”. The campaign was visually supported by images of slim French models and prominently featured acclaimed female airplane pilot Amelia Earhart as the spokesperson. The Food and Drug Administration has yet to approve the usage of electronic cigarettes as Nicotine Replacement Therapy, or NRT. This is chiefly because the contents of the vaping fluid inside the cartridges that e-cigs use differ from one producer to the next. As such, while some might be completely harmless, health experts are still debating whether or not others produce just as much harm as regular cigarettes. There are certain facts, however, in the e-cig debacle and dilemma. For one thing, electronic cigarettes employ propylene glycol as a solvent for nicotine. This substance has been used by the food and pharmaceutics industries for decades, and has not been found to be toxic, even when ingested in large quantities. For another, the amount of anecdotal evidence which supports the use of e-cigs as NRT is overwhelmingly positive. For instance, one study published by Canada’s School of Public Health at the University of Alberta reveals that 79 per cent of e-cig users will completely replace tobacco cigarettes with e-cigarettes, while 17 per cent will only replace normal cigarettes partially and 4 per cent use electronic cigarettes in addition to traditional ones. Can You Quit without Packing on the Pounds? First off, it’s important to note that complete cessation of all smoking and smoking-related activities will add somewhere between 5 to 10 pounds within the first month of quitting. This is entirely normal and can be assuaged, if former smokers choose to add an extra thirty minutes of physical activity to their daily regimen. However, it’s also worth mentioning that electronic cigarettes, which provide the former smoker with the same gestures that regular smoking does, will help them not reach for the sweets, as they battle their urge to return to their former, unhealthful ways. Anna Robeson enjoys writing about all things health, as well as reading electronic cigarette consumer comments, which she knows are very important to consult before purchasing an e-cig. She is a healthcare professional, a mother of two, and a former smoker of twenty years. Submitted by Robin (not verified) on Mon, 08/12/2013 - 03:42. If you are fed up of your habit of smoking, but are still unable to quit its addition, you should not hesitate considering the benefits of an e-cigarette, and switch over to it for the safeguarding your health to a great extent.